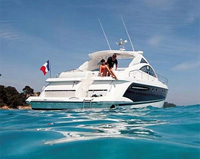 Welcome to Spain Mega Yacht Rentals for Mallorca, Costa del Sol and Balearic Islands. Here you can find it all - culture, history, beauty, cuisine, peaceful bays, secluded islands, fantastic ports and nightlife. Mediterranean destinations have so much to offer in relaxed atmosphere. From the beautiful Balearic islands of Mallorca, Minorca and Ibiza, to Barcelona, to the Costa del Sol, Spain offers sun, beach, history, tapas and a world famous relaxed lifestyle that is perfect for charters. Our most popular destinations are Ibiza and Palma, both with plenty of sail and motor yachts and great charter itineraries. Whether for a bareboat or crewed charter, these islands offer everything from secluded coves with beautiful sunsets to renowned nightlife. Charters from the Costa del Sol can cruise the entire South Eastern coast of Spain and also reach exotic destinations such as Gibraltar and Morocco. You want the vacation of a lifetime. For that special holiday or event only the full luxury treatment with the best of everything will do - food, sights, service, and activities. You don't want to compromise - you've earned it. 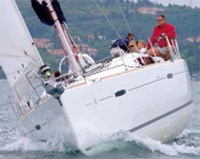 Spain offers world class charter destinations. We have hundreds of boats and yachts throughout Spain for you - from Super Yachts to bareboats, to day charters. So please sort through our boats and let us know which ones are of interest, and we`ll take it from there!